Gus is not normal. And he's fine with that. All he wants is to be left alone. First, I need to state how I've never truly enjoyed an audiobook, as I find it hard to fall into the story. I need to see the words written if I'm listening at the same time. This is due in part to the fact that I have a hearing-impaired person in my household, and I read the TV while watching it. In fact, the CC is turned on for my personal TV, and I have to look at the screen to fully immerse myself into whatever I'm watching – no multitasking for me when it comes to books, movies, or shows. I've read and enjoyed TJ Klune books in the past, but always found it hit and miss depending on my mood on whether or not I connected with the storyline. If you're new to Klune, know that the books can be way over-the-top. If you're not in the right mindset, it may come off as forced. For me, How to be a Normal Person fell into the forced category because of my current mood over the 11+ hours it took to listen. I loved Gus. He was self-deprecating, and his inner monologue was hilarious because of it. I did find myself chuckling or snorting out loud while listening. The House Hunters jokes had me splitting a gut. He was quirky and saw the world through a different lens. Truthfully, my issue, and it may have been exacerbated due to the fact that this was audio, I'm not big on the details. A lot of authors have a ton of unnecessary details to set a scene, and there is a large grouping of readers who not only need that, but love it. I'm just not one of them. As an INTJ personality, I find inane tedious, whereas the rest of the population would find the anecdotes hilarious. (I'm like the lone person at a party, sitting in the corner, getting progressively more annoyed as the people get drunker and start finding themselves hilarious – the more they laugh, the more I want to break our friendships. Like I'm the lone sane person in an asylum). For me, every word was written for the result of a laugh, when I'm a reader who values deeper subject matter, and find unsuitable things funny from time to time. Less is more for Erica, and How to be a Normal Person was definitely the opposite of less. If I had been reading the novel, my eyes would have skimmed past it, but as I was listening, I had to hear every word – as I said above, being audio exacerbated my issue with this sort of writing style. What kept me engaged and helped me complete the novel was the audio narrator. He did Gus proud, and I could listen to him for hours (which I did. HA!). Take my review with a grain of salt, as audio may not be my thing, and it may have contributed to the fact that I couldn't fall into or absorb the story as if I were reading it. But Gus was a gem, and the narrator sparked something in me to give audio another go, because perhaps it was just a case that this book wasn't for me, as other Klune books have been in the past. 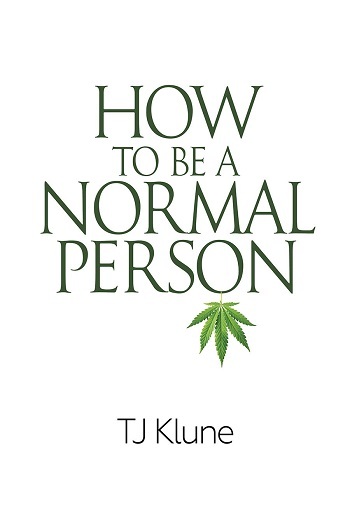 Reviewers on the Wicked Reads Review Team were provided a free audiobook copy of How to Be a Normal Person (How to Be #1) by T.J. Klune, Narrated by Derrick McClain to listen to and review.